The ISSA received the International ORP Award 2018 for Vision Zero campaign by a jury made up of members of the Scientific Committee of the ORP International Foundation from a dozen universities in the Americas, Asia and Europe. The award constitutes a recognition of the efforts, commitments and achievements the campaign obtained in the development and promotion of occupational risk prevention initiatives in the first year since its establishment and was delivered on the occasion of the 18th International Conference on Occupational Risk Prevention. 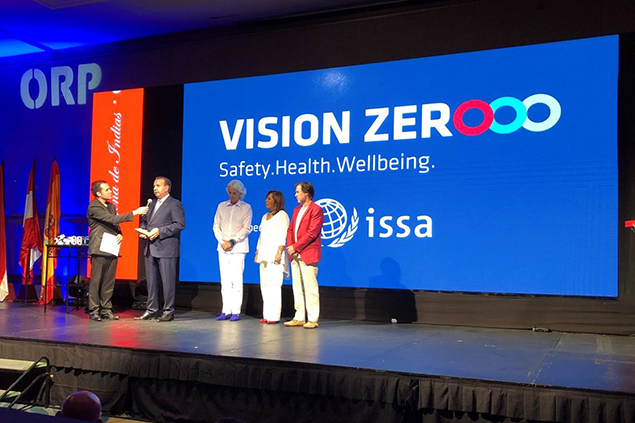 With its launch in Latin America, the Vision Zero campaign is set out to achieve even more progress in occupational risk prevention for the safety, health and well-being of Latin American citizens.